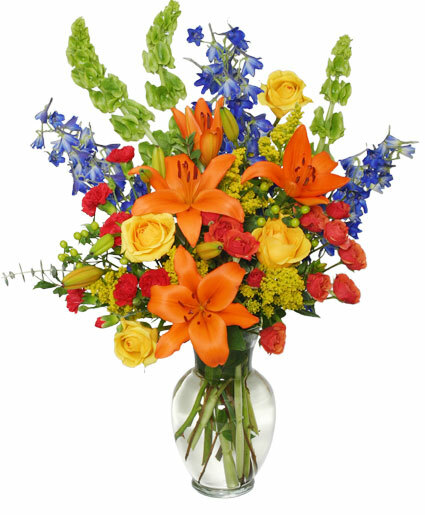 These vibrant fall flowers from FLORENCE IN BLOOM will make any occasion special and memorable. Show loved ones how glad you are to have them in your life with our Awe-Inspiring Autumn arrangement. Order flowers online or call our shop today! Flowers can bring a smile, give you comfort or make you laugh, and now is a great time to send some to the ones you love. Call FLORENCE IN BLOOM direct or order beautiful blooms now from our website.